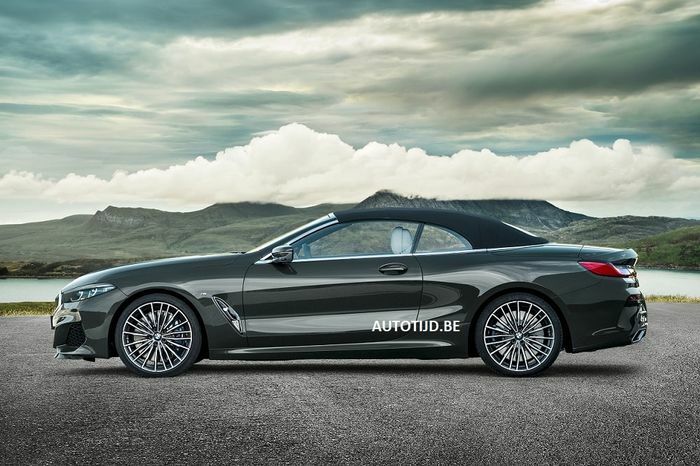 We no longer have to rely on renders to get a sense of how the new BMW 8-series might look as a drop-top, as the convertible version has been revealed for the world to see. 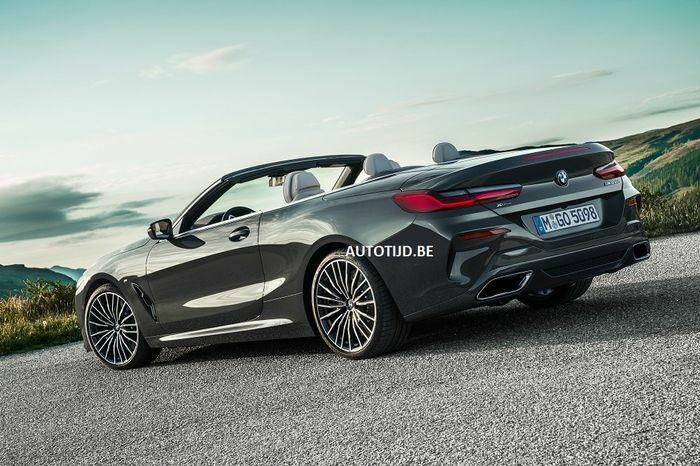 And it’s been outed a little earlier than planned - Belgian site Autotijd went live with a whole gallery of images today, showing the 8-series convertible from every angle. 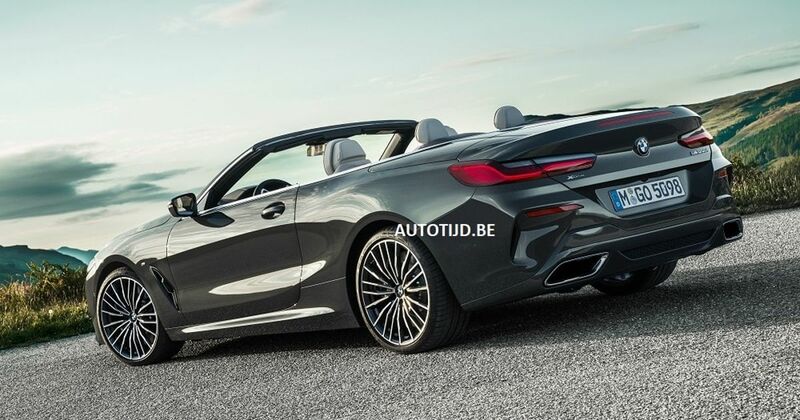 The derivative in the pictures is the range-topping M850i. The leak doesn’t include any specs, but we do know that the coupe M850i develops 523bhp and 553lb ft from a 4.4-litre twin-turbo V8. That makes for a 3.7 second 0-62mph time in the tin top, so we can expect that time to increase slightly thanks to the inevitable weight gain of the new model. 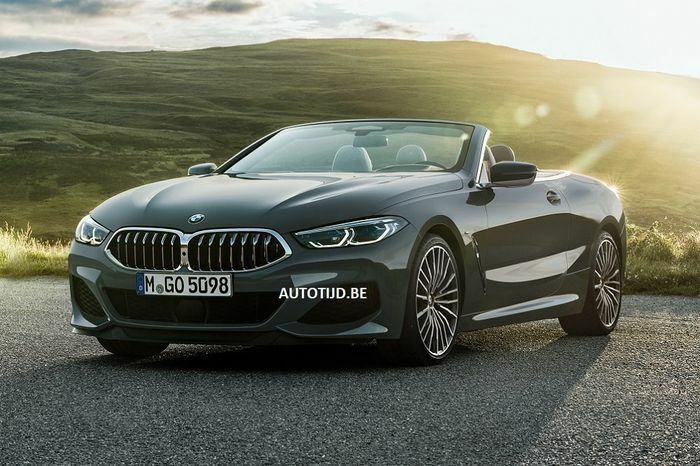 The 840d will probably be given the rag-top treatment too. The entry point to the 8-series range is still plenty potent, with 316bhp and 502lb ft delivered from a 3.0-litre inline-six turbodiesel engine. In the coupe, that allows for a 0-62mph time of 4.9 seconds. Pricing for this new 8er derivative isn’t hard to predict. When it comes to the coupe, BMW charges £76,270 and up for the 840d and £100,045 for the M850i - figures which should rise slightly for the convertible versions. The car will make its public debut at the LA Auto Show at the end of November. Recommended car throttle shop Worldwide Shipping In The CT Shop Car Throttle Submit Your Videos To Get Featured On Our Social Channels News The BMW M850i Night Sky Has Actual Meteorite In It News 415bhp Mercedes-AMG A45 S Accidentally Revealed By Insurance Company News Toyota Supra's Debut Time Revealed In "The Last Teaser" News There's A 2.0-Litre Toyota Supra And It Could Replace The GT86 News The New Audi SQ5 TDI Has Landed As A 342bhp Mild Hybrid News The New Lexus RC F Has A Lighter, Aero-Clad Track Edition News This Is Probably The New Land Rover Defender, And It's Arriving In 2019 News Mazda Has Trademarked 'MX-6', But Why?